The manufacturing of unencrypted set-top boxes has been a waste of time and money that government will pay for dearly, says Namec. The production of more than 400 000 set-top boxes (STBs) with no capabilities to encrypt broadcast signals will result in fruitless and wasteful expenditure. 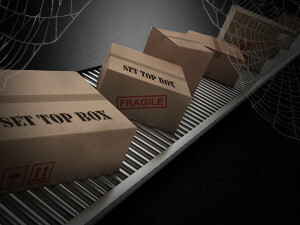 These are sentiments shared by Adil Nchabeleng, secretary general of the National Association of Manufacturers in Electronic Components (Namec), who says the production of unencrypted STBs will see government suffer the costs of the mistakes made by the Universal Services and Access Agency of SA (USAASA). Nchabeleng's comments are on the heels of last month's Supreme Court of Appeal (SCA) judgement, which ruled the communication department's Digital Migration Policy on the use of unencrypted STBs for digital migration was "unlawful and invalid". According to Nchabeleng, encryption can't be added to the unencrypted STBs that have already been produced. He says there needs to be a national standard for encryption that is owned and developed within SA, as currently there isn't one. This national standard will protect the condition and development of these STBs. "Encryption is not something that can just be added; it has to be burnt onto the printed circuit board of the set-top box. The minute the STB has to be changed, it is a wasted decoder. Encryption is a highly technical process." USAASA, the agency which has been charged with the responsibility of managing the production and installation of STBs, told ITWeb manufacturers have been contracted to produce digital terrestrial television (DTT) and direct to the home (DTH) decoders. According to USAASA, DTH STBs are encrypted as per SABS standards, while the DTT decoders are not encrypted as per the Digital Migration Policy, which says: "The STB control system for the free-to-air DTT STBs shall not have capabilities to encrypt broadcast signals for the subsidised STBs." As of 31 May, 447 458 DTT STBs have been manufactured and verified, and 166 108 have been delivered to the South African Post Office's warehouses. As of 31 May, 20 306 DTH STBs were manufactured and verified, and 5 306 have been delivered to the post office, the agency says. "How was the manufacturing of some 400 000 STBs authorised when there was an ongoing court case aside from the one with Etv? Orders were already prepared while the court case was in process," Nchabeleng questions. "Considering that almost 500 000 unencrypted STBs have been manufactured ? which is about 10% of the five million STBs that need to be produced in total ? that can easily amount to R1 billion which is now down the drain," he says. Last April, USAASA announced all 26 bidders would receive part of the R4.3 billion tender for the manufacturing of five million STBs for low income households. Despite the SCA judgement, communications minister Faith Muthambi's department has remained defiant and noted it will continue driving registration for STBs for qualifying households. "The Supreme Court of Appeal has not ordered the reversal of the Broadcasting Digital Migration policy, or interdicted the implementation of this key national project," said the ministry in a statement. 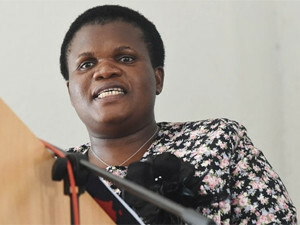 Despite the court judgement, communications minister Faith Muthambi's department has remained defiant. The SCA ruling found the amendment to the Broadcasting Digital Migration policy did not follow a process of consultation, and was irrational and in breach of the principle of legality. Etv approached the court to have a provision in the policy set aside that says government-subsidised STBs would not have the capability to encrypt broadcast signals. Muthambi's department has not provided clarity on whether it is seeking further litigation on the matter. Etv attorney Aslam Moosajee, who is a director at Norton Rose Fulbright, says it is understand the communications minister plans to appeal to the Constitutional Court, but in the meanwhile, "we trust USAASA will comply with the Supreme Court of Appeal judgment and will ensure the subsidised set-top boxes that it is rolling out will have encryption capability". It further remains unclear how USAASA plans to move ahead in light of the court ruling. The agency previously noted it is still studying the verdict and wants an opportunity to apply its mind to the contents of the judgement and the implications thereof. "CEO Lumko Mtimde is therefore in consultation with the board and the executive authority, after which he will be able to convey USAASA's way forward in this regard," says USAASA. Namec, which lobbied to make sure the bulk of the tender to produce subsidised STBs is awarded to local emerging electronic manufacturers, has cried foul play in how the manufacturing process of digital migration decoders has been handled by USAASA. While the tender to produce STBs and associated electrical equipment for the long-awaited switch from analogue to DTT was awarded to all 26 bidders, only three manufacturers have been involved in the production process so far. BUA Africa has been contracted to manufacture the DTH STBs, while Leratadima Marketing Solutions and CZ Electronics have been contracted to manufacture DTT STBs, according to USAASA. The electronics sector is struggling and SA still pushes for importation of all sorts of technology when most of these could be made locally under proper original equipment manufacturer agreements, he says. Nchabeleng believes encryption will not only boost the content industry, but critical skills and knowledge will be developed in the areas of software technology, encryption technology and programming. "The process of encryption is to empower local manufacturers and revive the local manufacturing industry to create jobs and expand skill in the electronics sector." While USAASA's figures show STBs have been produced since the Department of Communications (DOC) placed the first order last year, the same can't be said about registration and installation of these decoders. In April, the DOC said more than 14 000 qualifying TV-owning households had registered to receive free STBs since the registration process began in October 2015. Muthambi has admitted there has been slow registration take-up by citizens. According to Democratic Alliance MP and shadow minister of telecommunications and postal services, Marian Shinn, only 823 STBs were installed by the end of February. Shinn says the STBs that have been installed so far are DTH decoders. "These STBs have been distributed to qualifying households in the border areas which will not receive DTT signals. "The DTH STBs have to be encrypted as no satellite service provider will accept unencrypted signals. It is only the DTT boxes that the minister's revised policy affects. So, it would seem the boxes already distributed may not need much adjustment," she adds. USAASA says the DOC has not placed another order for set-top boxes. SA has been planning digital migration since 2008 but missed last June's International Telecommunication Union deadline.